I am a Masters student at the Computer Science Department, Wright State University, Dayton, Ohio. I am attached to the Ohio Center of Excellence in Knowledge-enabled Computing (Kno.e.sis). Let's start scrolling and learn more about me. I am a graduate research assistant at Ohio Center of Excellence in Knowledge-enabled Computing (Kno.e.sis), Wright State University. 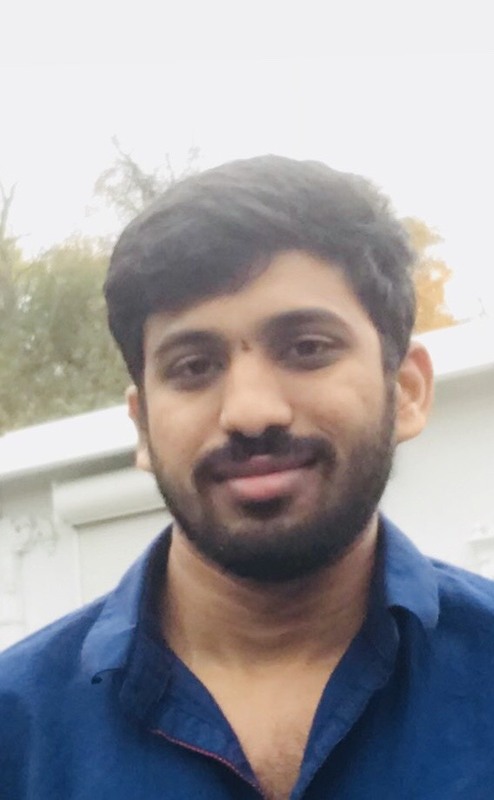 I am pursuing Master's in Computer Science, advised by Dr.Krishnaprasad Thirunarayan . My interests encompass Machine Learning, Big data, Software Engineering, Natural Language Processing, and Information Retrieval. Masters in Computer Science, Wright State University, Dayton, OH. Bachelor of Technology in Information Technology, Sagi Rama Krishnam Raju Engineering college, Andhra University, India. Completed with distinction honours. I worked as Graduate Research Assistant (January 2016 - December 2017) at Kno.e.sis Center. I successfully completed an internship (ServiceNow Developer Intern) at Vsoft Consulting, Louisville, KY (June 2016 - August 2016). Developed a service desk and service catalog applications for V-Soft consulting using ServiceNow tool. This application automates all the operations of service desk and service catalog tasks in V-soft consulting group. I worked as a Graduate Teaching Assistant for CS7100 Advanced Programming Languages in Fall 2017.